The most popular models come in focal lengths between 90-105mm, and have 1:1 magnification. There are also shorter focal lengths such as 50mm or 60mm, but these have shorter working distances, which means you have to get very close to your subject, risking to scare it away. 1:1 magnification means that when you focus as closely as possible, your subject is as big on the sensor as it is in real life. So if you have a full frame sensor of 36×24 mm, it means that any insect you want to shoot that is 36 mm long, just about fits in your picture. If you are shooting very small subjects, such as insects, the focal plane will be extremely narrow – a couple of millimeters or so. Thus, you will have to set your aperture to at least F16 to have a chance of having most of an insect in focus. With a small aperture like that and the need for a high shutter speed (due to the shaking of the lens and the subject), a flash is a must. You can use any flash for macro photography, in most cases, even the built-in pop-up flash of cheaper DSLRs work well. There are some macro photography situations in which a flash is not strictly needed. 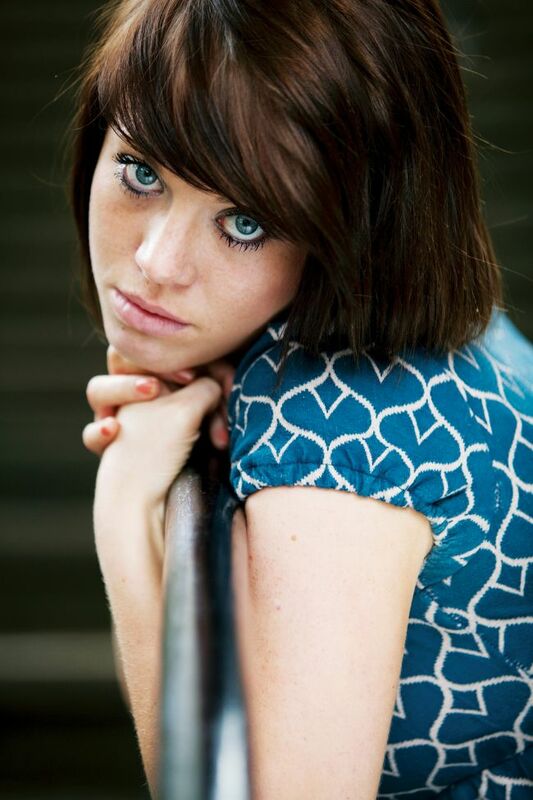 One situation is if you are okay with shooting at F2.8 or F4, and there is plenty of sunlight. This could be the case if you are not going all the way to 1:1 magnification, and thus can get a good depth of field with a large aperture (when you move away from your subject, the depth of field will increase). The upside with not using a flash is that you get more natural looking photos with natural light. But if you are going to shoot insects up close, and want to have more than a small part of them in focus, you will have to use a flash. If you are using a flash for your macro photography, I highly recommend using a diffuser as well. A diffuser is simply any white, translucent material you can find, which you can put between the flash and your subject. n the beginning, I used a normal white paper that I cut a hole in and stuck the lens through. It was a bit flimsy though and would get crumpled during transport. My next diffusor was a filter for a vacuum cleaner, that I also cut a hole through and put around the lens. This was a great diffusor as well. Currently, I use a purpose made soft diffusor, which can conveniently be folded together when not in use. In macro photography, you will find that the small vibrations from your hands when holding the camera will be enough to make the whole picture jump around like crazy. Combine this with trying to photograph an insect sitting on a plant that is swaying in the wind, and you have a real challenge. A high shutter speed is therefore recommended especially for beginners. Begin with a shutter speed of 1/250 or faster. However, the light duration from a speedlight is usually extremely short, and can alone freeze your subject, even combined with a slower shutter speed such as 1/100 s. The reason is that the flash will stand for the majority of the light in the photo, so even if you happen to shake your camera, it will be barely noticeable in the exposure. With a short focal length macro lens, you can take nice looking photos even at 1/40 s shutter speed. The benefit of using a slow shutter speed is that you can avoid the black background that you otherwise often get in macro photos taken with a flash. Instead, you can get some color into your background, making the photo look better. Second of all, forget about tripods. Unless you are shooting something completely static, such as a product in a studio, tripods will be very impractical to use in macro photography. For shooting insects or flowers outside, you will be disappointed to spend time setting up the tripod, only to discover that the small vibrations of the flower in the wind makes the photo blurry anyway. Not to mention that any insect will have flown away during the first 10 seconds of your 1-minute tripod setup. Over time I have developed the following method of focusing, which I think gives the best results: Hold the camera with both hands, and preferably anchor your elbows against your sides or legs, to give even more stability. Then turn your focusing ring to approximately the magnification you want to get. Then focus, not by touching the focusing ring, but by slowly rocking towards the subject, while trying to snap the photo exactly at the right moment. As already mentioned, a close focusing distance will mean an extremely narrow focal plane. You will find that the best macro photos come when you utilize the narrow focal plane in clever ways. Thus, try to find subjects that are flat, and put them in the focal plane. Examples are small, flat flowers or butterflies photographed from the side, or beetles with fairly flat backs. Another example of utilizing the narrow focal plane in a creative way is to make an insect’s head “stick out” of the blurry bokeh, to make an interesting and aesthetically pleasing effect. A common newbie mistake is to conveniently snap the photo from where you stand, at a 45-degree angle towards the insect or flower. This will make your photo look like every other newbie macro photo out there – it will be boring. And lastly, never put sharp objects such as knives or drills against your expensive macro lens. Despite what some YouTubers seem to suggest in their thumbnails, also avoid cigarette lighters and toothpaste. Putting stuff like this against your lens is only useful for clickbait thumbnails on YouTube! One of the many amazing wide-angle lenses at Camera Craft is the Sigma 10-20mm EX DC f/3.5. Which is on sale currently until the end of next month! The default metering option is Matrix or Evaluative, and this looks at the whole scene and attempts to provide the best balance for everything in it. 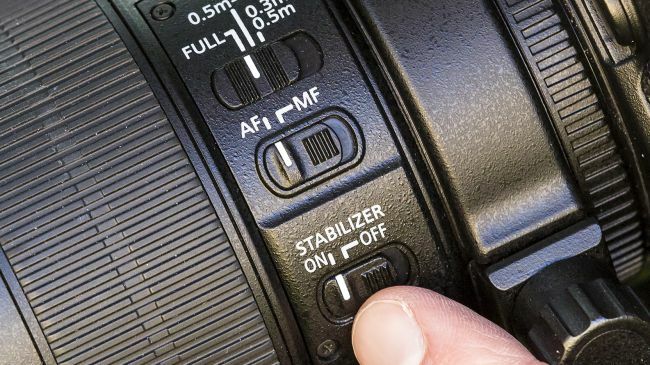 You can, however, also use exposure compensation when your camera is set to a different metering pattern such as center-weighted or spot metering. So, let’s say you’re shooting in the Aperture Priority mode and your camera deems that the right exposure for a particular scene at an aperture of f/5.6 is 1/100sec. If you apply -1/3EV exposure compensation, your camera will retain the same aperture (as this is what you have chosen to control by being in the Aperture Priority mode), but it will decrease the shutter speed by 1/3EV stop, which brings it down from 1/100sec to 1/80sec. If you applied -2/3EV of exposure compensation this would change to 1/60sec, and if you applied -1EV then it would fall to 1/50sec, as 1/50sec is one full EV stop of exposure less than the 1/100sec setting, which is where you started. To read the full article click the link! Need to update you existing camera? Or perhaps you're buying your very first one? It's nice to think that if you pay a certain sum of money you'll get a camera that ticks the same boxes as cheaper models, but this isn't always the case. Here are 10 features to look out for that can make a difference to the way you shoot and the ease with which you can capture and output your masterpieces. While you may prefer to process your images on a computer, it's still well worth having in-camera Raw processing to hand. This feature allows you to quickly make alternative, print-ready versions of your images as soon as you've captured them, tweaking white balance or fixing minor exposure issues, or perhaps creating black-and-white options. Combined with in-camera Wi-Fi or Bluetooth, you can quickly resize your edited versions and send them out to your social spaces, which makes it particularly useful if you're on the move and nowhere near a computer. It's something that many cameras now have, but it's typically missed out from cheaper cameras and even the odd mid-range model. 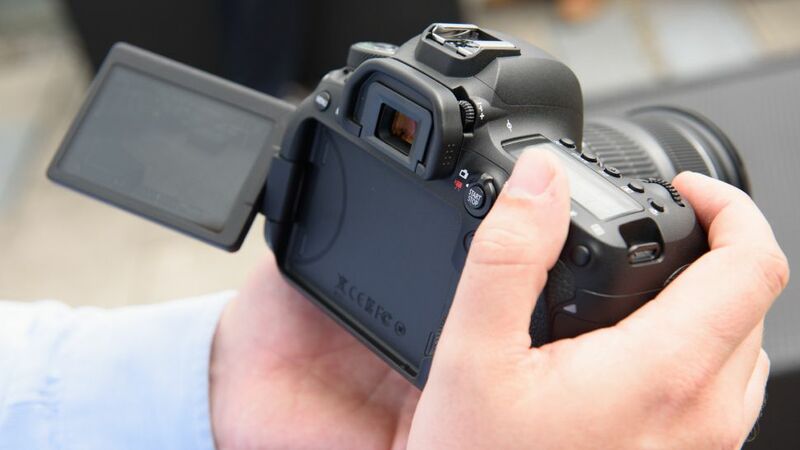 Having a top-plate LCD screen that lights up is now common on enthusiast-level DSLRs and certain mirrorless cameras, but some are now starting to offer illuminated buttons and memory card slots. These are great when working in low light as they help save you time and fumbling around for that zoom or menu button, or when you need to replace a memory card. Right now it's confined to pricier models and less mainstream cameras, but it's something we expect will slowly filter through more accessible options. 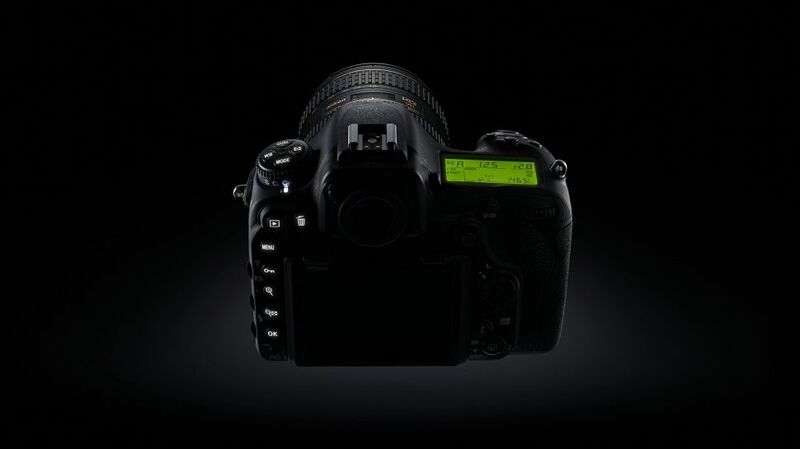 Most mirrorless cameras offer electronic shutters that can be used to shoot silently, and the feature is now starting to crop up on DSLRs such as Nikon's D850 and certain Pentax models (when using live view). Unlike "quiet" shutters on DSLRs, which have never actually been that quiet, these let you shoot without attracting any attention to yourself. This is a good one to check if you ever need to be discreet, perhaps if you plan on shooting at weddings or other events, particularly as it's not a universal feature in mirrorless bodies. It's also great for street photographers and anyone shooting live subjects that may be disturbed by the sound of a mechanical shutter, such as wildlife. Manufacturers may no longer have a huge number of megapixels as their main focus for their latest cameras, but this figure does still continue to rise. This is also true of burst rates, which dictate how quickly a camera can capture images at a constant speed. Because of this, it's worth knowing that your camera can support a memory card that will keep up with such a high volume of information for as long as possible. Otherwise, you may find it stops you short in the middle of a burst of images, or simply when capturing many images in the single-shot mode at once. UHS-II cards offer maximum transfer speeds that are up to three times as fast as UHS-I cards, and a camera that supports these will be better equipped at keeping up with this stream of information. Bear in mind that if your camera has two cards slots, UHS-II may only be supported in one of them. If you're buying a DSLR this is definitely one to think about: do you want the whole scene in the viewfinder or the scene with the peripheries cut away? Well, the latter is what you get with most entry-level cameras, although you even find it on some mid-range and full-frame models. What you want to be looking for is a camera whose viewfinder offers 100% coverage, and you can check this in the specs on the camera manufacturer's website. This will ensure that you can frame with precision, rather than need to crop away details afterwards. You generally won't be able to find this on the cheapest DSLRs, so if money is tight you'll generally have to settle for around 95% or 98%. That said, if you're not tied to any one system, take a look at what Pentax DSLRs are available within your budget, as even cheaper models can sometimes offer 100% coverage. Your camera's metering system plays a vital role in picture-taking. It works out how much light should enter the camera to make a correct exposure. It's very clever, but it's not completely foolproof. The problem with metering is that it takes an average reading – either of the entire frame or part of it, depending on which metering mode you're in – and this reading is assumed to be a midtone, or in other words, halfway between white and black. To Read the Full Article, click this Link! Tamron Canada has been on fire lately – releasing one stellar lens after another. I’ve been a big fan of Tamron since the first SP 24-70 F/2.8 Di VC lens – it was a game changer that let me capture images I couldn’t with any other lens in that focal range. Thankfully, the tradition continues with the latest SP 100-400mm F/4.5-6.3 Di VC USD. One of the main reasons why photographers use polarizing filters, is to reduce reflections in a scene. Reflections are everywhere around us and they are very common in nature. Aside from common water reflections originating from ponds and lakes, we might be dealing with window reflections or perhaps even tiny reflections of light bouncing off vegetation or rocks surrounding waterfalls. In such situations, using a polarizing filter can help dramatically reduce reflections, even potentially adding contrast and saturation to the image. One of the main reasons why I personally take a polarizing filter everywhere I go, is because I often rely on it to reduce haze in my images. Haze is something we landscape photographers have to deal with very often, so being able to use a polarizing filter in such situations helps quite a bit during post-processing, since we can take it one step further and reduce haze even more through various “dehaze” and contrast adjustment tools in software. Some haze is relatively easy to deal with in post, but when there is a lot of it, a circular polarizing filter can definitely help. To Read the Full Article please click the following link. Tamron introduced the second generation (G2) of its popular 150-600mm f/5-6.3 Di VC lens in September 2016, bringing a new look to match that of more recent SP optics, along with improved weather sealing. Inside, Tamron updated the construction of the lens with 21 elements arranged in 13 groups, and there are 3 low-dispersion elements to reduce chromatic aberration. In addition, the front element of the G2 optic has a fluorine coating to help repel dirt.Thanks to the new construction, the G2 lens’s minimum focusing distance is 2.2m (86.6 in), improved from 2.7m (106.3 in) with the original lens. However, at 260.2 x 108.4 mm (10.24 x 4.27 in) and 2.01 kg (70.9 oz), it’s a little bigger and heavier than the G1 optic, which measures 105.6 x 257.8 (4.16 x 10.15 in) and weighs 1.95 kg (68.78 oz). High-quality fast and long telephoto lenses are expensive to develop and manufacture, so they command a high price. The Nikon AF-S NIKKOR 600mm f/4E FL ED VR, for example, retails for over $12,000, while the Canon EF 600mm f/4L IS II USM costs in excess of $11,000. So naturally there have to be a few compromises to make a long lens more affordable. With a launch price of $1,400, the Tamron SP 150-600mm f/5-6.3 Di VC USD G2 represents good value, delivering good sharpness across the frame, plus distortion and vignetting that are well-controlled for its intended use — photographing wildlife and sport. Capturing the orbiting laboratory makes for an exercise in precision timing. Have you ever watched the International Space Station (ISS) soar over your city? If not, you’re in for a treat. It orbits Earth every 90 minutes – so, 16 times every 24 hours – and its mighty solar panels are very bright when viewed just after sunset or just before sunrise. Its those solar panels reflecting sunlight that make the spacecraft visible from the Earth's surface; once you’ve seen it, you’ll always notice it streaking across the night sky as a very bright, constant white light. Home to around six astronauts at any one time, the 109x73m, 480,000kg laboratory takes about four minutes to cross the sky. Take a well-timed long exposure photograph and it’s possible to capture its orbital path 400km above. Getting a close-up shot of the ISS is tricky – even when using a telescope. Instead, aim to take a long exposure that captures its orbital trail across the night sky. That means you’ll need to open the shutter for between 30 seconds and a few minutes, so you’ll need a camera that allows manual control over exposure. A wide-angle lens will also be useful, not only to capture as much sky as possible, but also to get something in the foreground. You’ll also need a tripod for keeping the camera completely still during the long exposure. If you’re not sure of the cardinal points for where you are, a compass, or the compass app on a smartphone, will also be useful. The ISS always appears in the west and crosses the sky to sink in the east – most visibly near sunset or sunrise – so you’ll need to position your camera carefully. Since Earth is rotating from west to east, and the ISS is orbiting diagonally from south-west to north-east, its path appears to shift north. It takes about four minutes to cross the sky, although depending on exactly when you see it, the ISS can fade quickly. Because of this, taking a photograph of the ISS requires patience and careful planning down to the second. The next time it flies over your location may be a few weeks away, or it may be tonight. Visit the Heaven’s Above website for a detailed list of ISS flybys near you (they can be seen for about 100 miles either side of the orbital path), and sign up for NASA’s Spot The Station service, which will email you a schedule of flybys happening the next day. NASA will, however, only let you know about flybys that will be visible to you directly overhead. It will usually be visible from where you are after sunset for ten days in a row, after which you’ll likely have to wait a couple months for its return to the morning sky. And so it continues. It's always transiting, but in daylight, so it's invisible. On any one day, however, the ISS may be visible twice or even three times in a row, each 90 minutes apart, though only one sighting will be overhead. The others will be lower, nearer the horizons. 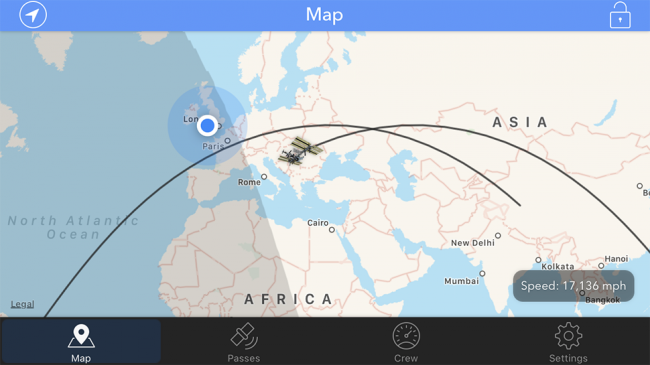 There are also a host of apps that follow the ISS in real-time, such as ISS Spotter for the iPhone and ISS Detector for Android. These apps use the same prediction engine to make calculations specific to your GPS position. Planetarium apps such as Star Walk 2 and Sky Guide will also send you alerts of ISS flybys occurring in five minutes’ time at your location. That’s not much warning, but if you’ve already got your camera mounted on a tripod and ready to go, it’s enough to get into your back garden to fire off a few shots (realistically, a maximum of two). 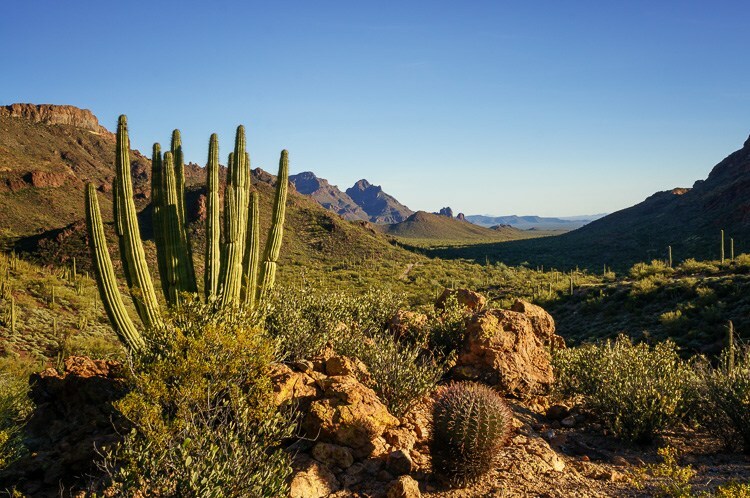 Once you know which crossing you’re going to try for, check the weather forecast and plan to visit a wide-open landscape, such as a park or open field. If it’s got a view low to the western horizon, you will see the ISS as soon as it rises. The ISS is only visible in the few hours before sunrise or after sunset. About 10 minutes before the scheduled flyby you’re planning on photographing, go outside with your camera on a tripod, preferably with a wide-angle lens that has its focus set to infinity, and put it in its manual exposure mode. Take some 30-second test exposures on ISO 400, with the aperture at around f/4. As soon as you see the ISS rising above the western horizon, open the shutter. When the shot is complete and you've captured an ISS trail, swivel the camera and do the same again. With any luck, the ISS will drop into the camera’s field of view. If you have a very wide-angle lens, try exposures of a minute or longer, but adjust the aperture to prevent overexposing the image. It takes some practice, with the biggest variables being the brightness of the sky (ie how soon after sunset the transit takes place) and the amount of moonlight. If you see the ISS just after sunset (or just before sunrise), it will likely remain blazingly bright right across the sky. If you see it again 90 minutes later on its second pass, the sun will have sunk further, and its rays will only catch the solar panels until the ISS is perhaps third of the way across the night sky. As it enters Earth’s shadow it fades very quickly. Although the ISS is the only spacecraft with humans onboard, there are other satellites orbiting Earth that can be photographed. For now, the most popular and visually arresting are Iridium satellites. A vast network of hundreds of communications satellites launched in the late 1990s, they often glint dramatically – and very predictably. Rising and falling in brightness over about 15 seconds, they can be very, very bright, so an exquisitely-timed long exposure photograph can capture a unique diamond shape in the night sky. Sadly, this generation of ageing satellites are currently being replaced and de-orbited, and by mid-2019 Iridium flares will be gone from the night sky. If you want to catch one, the rules are the same for photographing the ISS. The GoSatWatch (iOS) and Heaven's Above (Android) apps provide the crucial countdown. Serving the people of Sault Ste. Marie for over 60 years, Camera Craft has a clear picture about what its customers expect. And it’s oh-so-good for you. A strong emphasis on the buying experience, that’s the secret ingredient Camera Craft is stocking in surplus for its customers. Their level of service is one that only a specialty shop can offer and one that only experience can dictate. they’ll tell you the word is in no way synonymous with what is old. Camera Craft has lived photography in a way that only a few specialty shops can boast about. They’ve seen the landscape transform from Polaroid instant film, to the first point and shoot auto-focus, to the digital era and advanced DSLRs. Their rich history with all things photographic runs deep. whether you’re the family photographer or a budding visual artist. The world of pixels, lenses, aperture, filters, flashes and tripods are enough to make most people shudder. That’s why according to Camera Craft, the experience for the customer is so important. Memory cards are straightforward in use: you just pop them in your camera, format them and you’re off. Trying to make sense of their various figures and symbols, however, is another story. The situation has become more problematic in recent years as more advanced cards have been inscribed with new terminology to indicate certain aspects of their performance. More basic cards are thankfully free of many terms, but as cameras get more advanced it becomes even more important to understand whether you’re actually using the right card to do its capabilities justice. Fail to do so and you can end up having your camera's burst depth cut short or your video recording interrupted, and lots of hanging around waiting for images to be recorded. To help clear everything up, we’re going to run through all the symbols currently used on common SD-type cards and explain what each one means. This is the easy one: the manufacturer of the card. The most common names you will see here are Sandisk and Lexar, although Kingston, Transcend, Samsung, Toshiba and others are also commonly available. You may even have one from the same manufacturer as your camera. Most people will have a card from one of the first two brands as these are the most popular, but there are perfectly good cards from the others that are often cheaper. As with hard drives, memory cards are typically only made by a handful of companies and simply rebadged by others. Some brands are known for providing particularly good warranties or image-recovery software with their cards as standard, so you may want to factor these issues in if choosing between brands. Your best bet is to check the manufacturer's website for full details as to what you get with each. This indicates where in a manufacturer's lineup a card sits. Not all manufacturers have these different classes, but those that do give you a quick idea as to what kind of performance you should be able to expect from a card. Sandisk, for example, currently has Ultra, Ultra Plus, Extreme, Extreme Plus and Extreme Pro classes for its SD-type memory cards, as well as a more basic one that bears no particular designation. As you step up a class you are likely to see improved transfer speeds (more on this later), and more advanced cards may offer things like protection from water and freezing temperatures too. Naturally, this will be reflected in the asking price. All memory cards have a capacity that should be clearly indicated on the card itself. This could be as little as 4GB or 8GB (and even less for older SD cards), or as much as 512GB (at the time of writing). Larger 1TB and 2TB cards will at some point be available too, but frankly, even 512GB is way beyond most people's needs. The larger the card the more images and videos you can squeeze on it, although quite what you end up in practice depends on a number of factors. 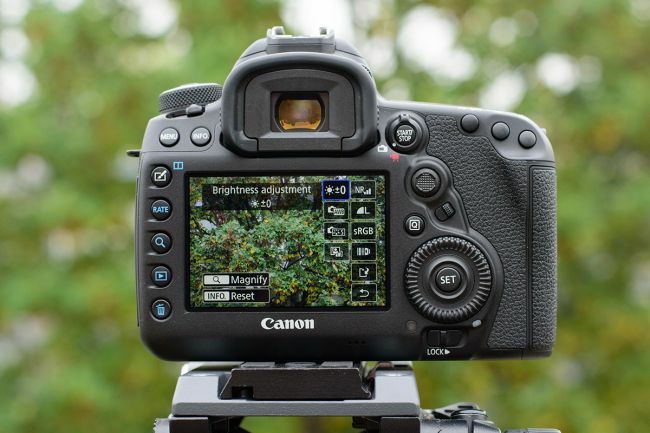 Whether you shoot JPEG images or Raw files, for example, together with what level of compression you use, whether you shoot high-resolution videos and how the camera records these among other things. Most people tend to go for a card that’s about 16-64GB in size, and these are now very affordable. From the perspective of security it's a good idea to have a number of smaller cards rather than a single large one, but the convenience of being able to fit weeks' worth of shoots or video footage onto a single, high-capacity card makes these tempting. Currently, all SD-type cards fall into one of three camps: SD, SDHC and SDXC. They are all the same shape and size, but the type will be indicated clearly on its front. SD (Secure Digital) cards are still in existence, but there is not much demand for them anymore as they do not offer the kinds of capacities and transfer speeds to do today’s cameras justice. Even if you do manage to find one, you’ll get considerably better value going for an SDHC or SDXC card, so they're best avoided. SDHC (Secure Digital High Capacity) cards are those that have a capacity between 4-32GB (inclusive). As they get larger in size they double in capacity: so, you can either go for a 4GB, 8GB, 16GB or 32GB card. If you find an SDHC card with any other capacity – 21GB, for example – you probably need to start shopping elsewhere. SDXC (Secure Digital Extra Capacity) cards are those that offer anything above this. These are currently 64GB, 128GB, 256GB and 512GB cards, but soon this will increase to even greater capacities. Most of today's cameras that take SD media support SD, SDHC and SDXC cards, but older cameras that only support SD cards won't work with SDHC or SDXC cards, and cameras that only support SD and SDHC varieties will not accept SDXC cards. Most cards have one or more of their transfer speeds written in either MB/s (megabytes per second) or with an 'x' to show this as a factor. This tells you how quickly the card can operate – more on this in a second. The card below is one of a handful that has both. These figures mean exactly the same thing, but it can become confusing when trying to compare cards that aren't marked with both. This card is a good example of how you do just that; a speed of 150MB/s is equal to 1000x, as a speed of 150kb is equal to 1x. So, a card with a 45MB/s rating is the same as 300x, 90MB/s is the same as 600x and so on. This is particularly useful to note if you shoot with a modern camera with a high-resolution sensor, especially if you capture bursts of images in one go. You may find with slower cards that you can't shoot images consecutively for as long a period (known as burst depth) or that you're just having to wait around for your camera to clear these to the card.ively for as long a period (known as burst depth) or that you're just having to wait around for your camera to clear these to the card. HS-II and UHS-III cards are easily recognisable for their two rows of contacts on the rear side, whereas UHS-I cards only have one. We thought we'd share these great blog posts from the FujiGuys for your learning pleasure, enjoy! After 70 hours of research and testing over two years, we think if you’re looking to buy a mirrorless camera with pro-level performance alongside image quality that bests most DSLRs, the Fujifilm X-T2 is the camera to get. With a street price approaching $2,000 bundled with a lens, buying the X-T2 is a significant investment in your photography. But what you receive in return is a rugged, weather-sealed camera; best-in-class viewfinder; 4K video capability; and a sensor that delivers impressively clean, detailed, and color-accurate images even at its highest ISO settings. All this in a retro-styled body with a well-designed layout of buttons and dials for fast, intuitive operation. In addition to the 40 hours we spent poring over reviews and test results for 13 different models in the previous version of this guide, we spent another 30 hours of research, including several days of real-world shooting with the X-T2 alongside our previous pick, the Fujifilm X-T1. As a result, the X-T2 is now our pick for the best mirrorless camera in the $1,000-plus range. At this price, great image quality below ISO 3,200 is a given in a camera at this level, as is the ability to change camera settings and shooting controls without diving into onscreen menus. And because these high-end models are aimed at working pros as well as serious hobbyists, you can expect durable, metal camera bodies that can stand up to daily abuse from the elements. What sets the X-T2 apart is its ability to deliver impressively detailed images even at ISO 51,200, a whopping 325-point AF system, 4K video shooting, a clever dual-hinged rear screen that offers the practical benefits of a fold-out articulating screen but with less bulk, and access to a fantastic and ever-growing lineup of XF prime and zoom lenses. On top of all this is Fuji’s impressive track record of improving camera features and functionality via ongoing firmware updates. So there’s a very good chance that your X-T2 will become an even more capable camera over your time of ownership. The Fujifilm X-T1 was our top pick in a previous version of this guide. Its follow-up, the X-T2 bests it with a faster and customizable autofocus system, a higher-resolution sensor that excels at the top of its ISO range, dual SD-card slots, and 4K video. If these features aren’t relevant to your style of photography, however, the X-T1 remains a formidable camera. Image quality is still among the best of any APS-C mirrorless camera, its all-metal body can stand up to daily abuse, and paired with one of Fuji’s growing body of weather-sealed lenses, you can take the X-T1 out shooting in any conditions. And with a current price significantly lower than our top pick, the X-T1 saves you enough cash to add an extra lens to your kit. Using the same highly regarded 24-megapixel sensor seen in Fuji’s X-Pro2, the X-T2 delivers outstanding image quality even at its highest ISO settings. The X-T2 can capture images at up to 8 fps in continuous autofocus mode—faster than most DSLRs—aided by Fuji’s most advanced AF system to date. A new dual-hinged rear screen gives you a wide range of viewing angles when not using the viewfinder, and 4K video along with a mic input make this the first X-series camera with appeal to video shooters. This weather-sealed all-metal camera body performs flawlessly in rough conditions, and the logically arranged dials and buttons make changing camera settings fast and intuitive. Dual SD-card slots give you the choice of either extended shooting capacity or real-time backups. Not to be overlooked is that buying into Fuji’s X-system gives you access to some truly outstanding lenses. Feel free to call or stop by to talk to our knowledgeable staff for all of your binocular needs. Explore and adventure with a camera that can take the punishment of family fun. Yes, I’m sick of filter articles, too. But I come today not to educate you, but to mock others. Because yes, people continue to try to save a few bucks by putting a cheap filter in front of their $1,000 lens. And also because they buy what they think are good filters off of Fleabay or some used place and these filters aren’t what they think. This can particularly happen when you purchase a brand that makes different filters of differing quality. How bad can it be, you ask? Well, today we’ll show you. Because someone had a 70-200mm f/2.8 lens that had been nice and sharp and then returned it because it suddenly got soft. They were kind enough to return it with their protective filter in place. So the first thing we did, as we always do, was put the lens on OLAF, which is simply an array of collimated 5-micron pinholes. A good lens should show and an array of small dots or circles. But this lens showed an array of glaring star flare thingies. Head down to Camera Craft to find the latest deals that Canon is offering in it's Best In Glass sales event. Amazing pricing on DSLR, point and shoot, and the Selphy products. Camera Craft is ready to help you out will all your Camera Spring Cleaning needs. From Cleaning kits to paper, screen cleaners, sensors, air dusters, start your season off right and ensure that all your gear is ready to go. Air duster, also known as canned air or compressed air, is a product used for cleaning or dusting electronic equipment and other sensitive devices that cannot be cleaned using water. ... Despite the name "canned air", the cans actually contain gases that are compressable into liquids. 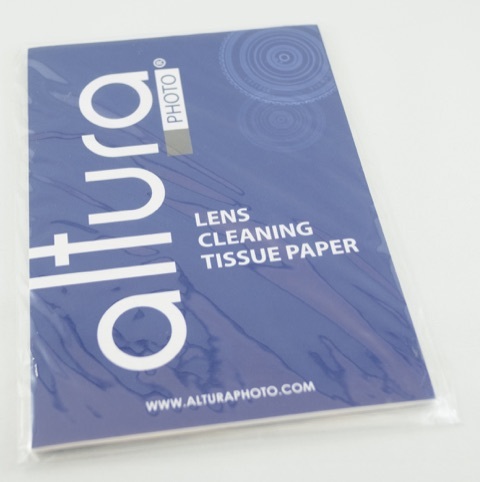 Apply a few drops of lens cleaning solution to a lens tissue or cleaning cloth. Using a circular motion, gently remove oil, fingerprints, and grime from the lens surface, working from the center outward. A lens pen is a great additions to your bag for quickly and safely removing smudges from your lens. Lens pens also have a retractable brush perfect for removing dust. 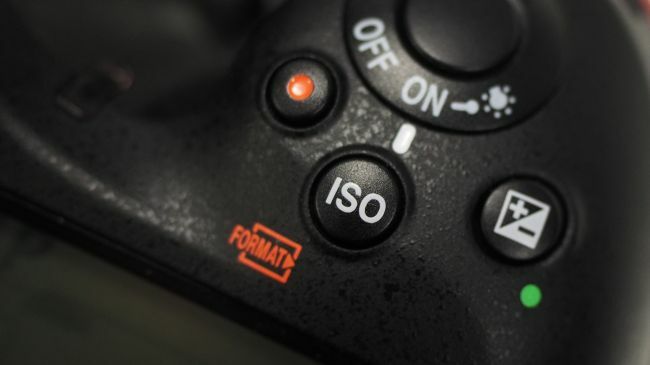 Sensor cleaning tends to be a little bit more of a delicate process and we have all of the supplies available at camera craft for those that wish to ensure there are not dust spots on their sensors that can impact on image quality. Sensor cleaning supplies for full frame cameras. Stop in and see us for all your camera cleaning needs. We also even carry lights make specifically for the job of sensor cleaning to ensure you can see any small dust aspects on your sensor. Micro finger cloths are also a must for every camera bag for quick cleaning jobs and ensuring that your LCD stays free of dust and fingerprints and the occasional nose print.